Online gaming has evolved a great deal over the past two decades. With humble origins in Flash games made for early websites, to MMORPGs like Everquest breaking the mold in the 1990s, online gaming has exploded into several different categories and is one of the fastest-growing segments of the games industry. Online gaming traffic clocked in at 126 petabytes in 2016 and is expected to reach 568 petabytes by 2020, so game developers are facing strong demand for highly-engaging games played on consoles, PC browsers, and mobile devices as well as browsers. 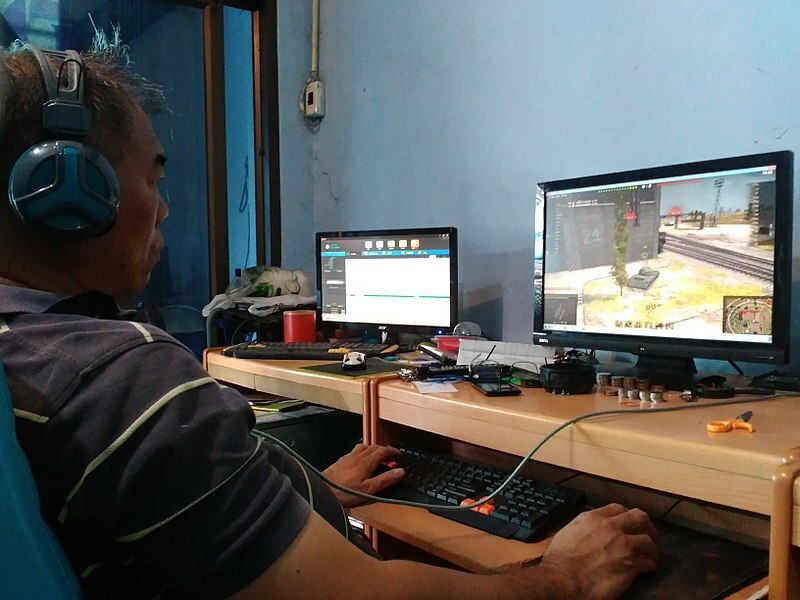 Game developers face many challenges when creating fun and innovative online games in giving the core audience what they want in narrative, progress, and core gameplay loops. What also makes online game development challenging is the fact that connection speed and different types of devices also affect the gameplay and the overall player experience. Developing the right type of architecture for an online game must account for different devices and connection speeds; a much bigger amount than what’s normally expected of PC development for a stand-alone game. When creating games for Xbox One, Xbox One X, PlayStation 4, PS4 Pro, and other consoles there’s largely a universal expectation that only the ISP accounts for the game’s performance, unlike developing games for browsers where both the computer’s processor speed and player’s ISP will highly vary. The development and testing processes are also less constrained for iOS where there are fewer devices that deploy it, unlike Android that has a seemingly endless amount of them. It compounds the challenge of testing web code and servers numerous times pre-launch, where speed-to-market is more crucial for online games than almost any other type. Online gaming requires sufficient Internet speed. Photo courtesy Wikimedia Commons. In examining players’ internet speed though, surges and server-side issues are the two major challenges that online game developers must contend with during the development process. For players that have a poor internet connection, developers strive to account for multiple internet speeds in the development process but this can prove to be difficult depending on what type of game it is. Asset-rich MMORPGs are a bigger challenge when it comes to ISP performance compared to a word puzzle type of game that relies more on social interactions than intense animations. There are some simple fixes that can be put in their code that helps pre-load content for users who have low bandwidth and not many choices for an Internet provider. Pre-loading will grab the resources needed to play the game during the browser’s idle time, which results in better performance. However, if there are surges during specific times of day or after the player base has significantly grown, then the developer also has to worry about compromising on a scalable infrastructure that doesn’t suddenly require a more robust device and/or faster ISP speed from the players. Surges become a problem when the game takes off and the fan base really grows. It seems counterintuitive considering more paying players is a good problem to have, but speed tests for a recently-launched game are going to be incredibly different from having a sudden influx of players followed by rapid growth. Keeping rendering speeds low for better performance and cost savings becomes a priority as does reducing server-side latency to get past the hurdles that come with scaling. But without the proper dedicated hosting and data center in place that’s easily scalable, players with slower internet speeds are essentially locked out from the game once the player base increases. If they were early players before surges became a regular problem, this can result in high churn rates and smear campaigns. Intensely increasing ISP speed and/or device capability requirements of users in a landscape where attention spans are short and communities find another game to go to can be a huge risk. In short, Internet speed affects not just the players, but also the game’s architecture.